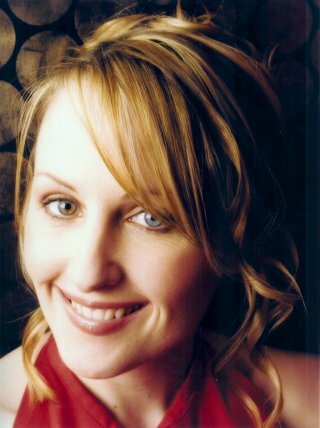 Rebekah was born in Newtownards, Northern Ireland, and graduated from The Queens University Belfast with a Bachelor of Music First Class and from the Royal Northern College of Music Manchester in June 2003 with a Postgraduate Vocal Diploma. Rebekah currently studies singing with Michelle Wegwart. Rebekah’s musicality has won her a number of prizes including awards from The Countess of Munster Musical Trust, The Peter Moores’ Foundation, Doyle Carte Opera, the Lawrence Atwell Charity and she was a recipient of the 2004-2006 BBC/ACNI Young Artist Platform Scheme. Rebekah has performed roles with Opera North, English Touring Opera, Opera Theatre Company, Opera 2005, Lyric Opera, Castleward Opera, Buxton Festival, The Belfast Festival at Queens, Aldeburgh Festival, Stowe Opera, Bampton Classical Opera and NI Opera. Her operatic roles to date includes Oscar (Un Ballo in Maschera), Adele (Die Fledermaus), Atalanta (Xerxes) Flora (The Turn of the Screw), Gretel and Sandman/Dew Fairy (Hansel und Gretel), Valetto/Amore (The Coronation of Poppea), Despina (Cosi fan tutte), Pamina (Die Zauberflote), Cecila (Iolanthe), Teobaldo ( Don Carlos), Peaseblossom (A Midsummer Night Dream), Marcellina (Fidelio) and Vespina (Infedelta Delusa). Recital work includes a recital of songs for the Downpatrick Fringe Festival (2005 and 2007) The Belfast Festival at Queens and the celebrity series at The Queens University Belfast. Her BBC broadcasts include Proms in the Park Celebrations 2009 with the Ulster Orchestra at Hillsborough Castle. This concert was broadcast live on BBC 4 and was transmitted later in the year on BBC Northern Ireland. Schubert’s Mass No4 in C for BBC Radio 4 Sunday Worship, Berg’s 7 Early Songs with the Ulster Orchestra, a Recital of Song for Radio Ulster, Master Peters Puppet for BBC Radio 3 with the Ulster Orchestra and Sandman/Dew Fairy for Lyric Radio with the RTÈ National Symphony Orchestra. An evening of Gilbert and Sullivan music for the BBC Radio 2 Friday Night is Music Night. Rebekah has also appeared in concert with the Manchester Camerata performing Bach’s Mass in B minor and a concert performance of Iolanthe with The Hallé Orchestra. Rebekah appears regularly with two contemporary music ensembles in Ireland. For the Brian Irvine Ensemble Rebekah has performed the title role in The Tailors Daughter (Irish Premiere) at The Belfast Festival at Queens and in Irvine’s opera Dumbworld. For the Crash Ensemble Dublin Rebekah has appeared in Michael Gordon’s Van Gogh at the Canberra International Music Festival in Australia. 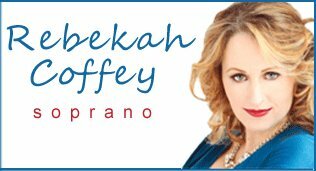 Rebekah is a regular on the oratorio and concert platforms both in the UK and Ireland. Her performed repertoire covers the majority of the major works and many of the touring and major venues and cathedrals in the UK, including Ripon Cathedral, York Minister. Durham Cathedral, Sheldonian Theatre, Waterfront Hall, The Grand Opera House, Bridgewater Hall, Ulster Hall and Hillsborough Castle.